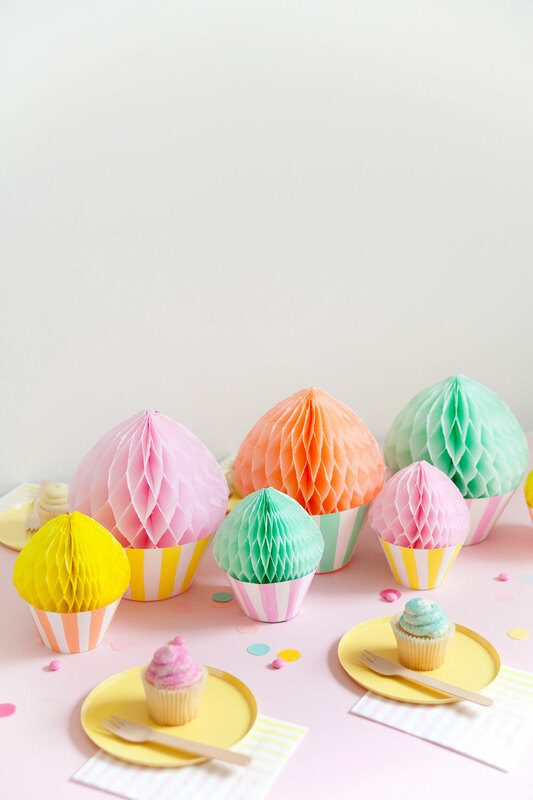 Read the full tutorial below with free printables for the cupcake bottoms. -First cut the honeycomb balls into a cupcake shape. You don’t need to cut them much, you just want them to come to a point but still have the roundness of the cupcake. -Start by drawing a line with a sharpie starting in the middle up towards the top corner (look at picture). Then cut along the line. 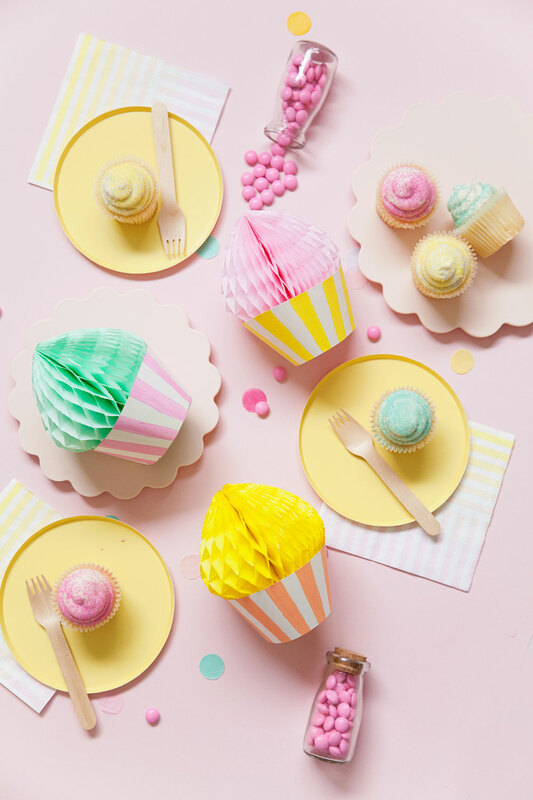 -Leave the bottom of the honeycomb ball the same because it will sit snug inside of the cupcake liner. 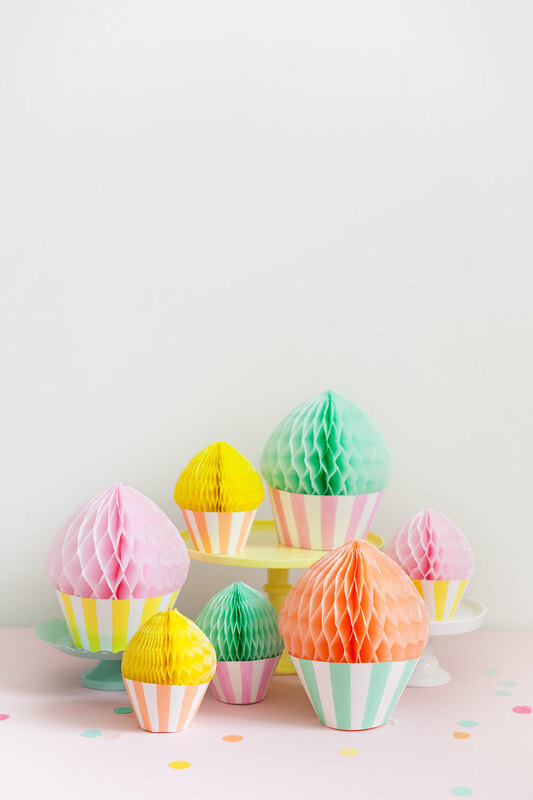 -Next print out the cupcake bottoms. I printed mine onto white thick cardstock, but you can print them onto any patterned paper. For the bigger pattern, print out both pieces, line up the x’s, tape and then cut out. Then trace the pattern onto a larger piece of paper or poster board. 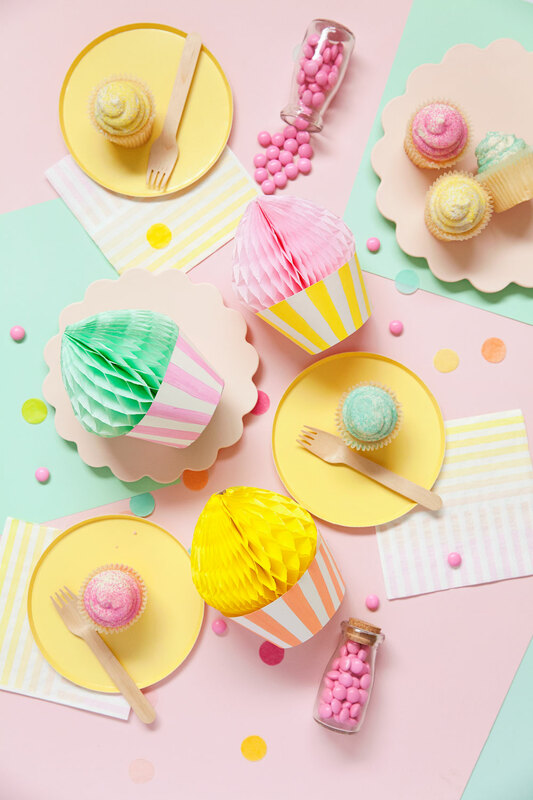 -Take a ruler, drew lines with a pencil and then paint stripes onto the cupcake liners. 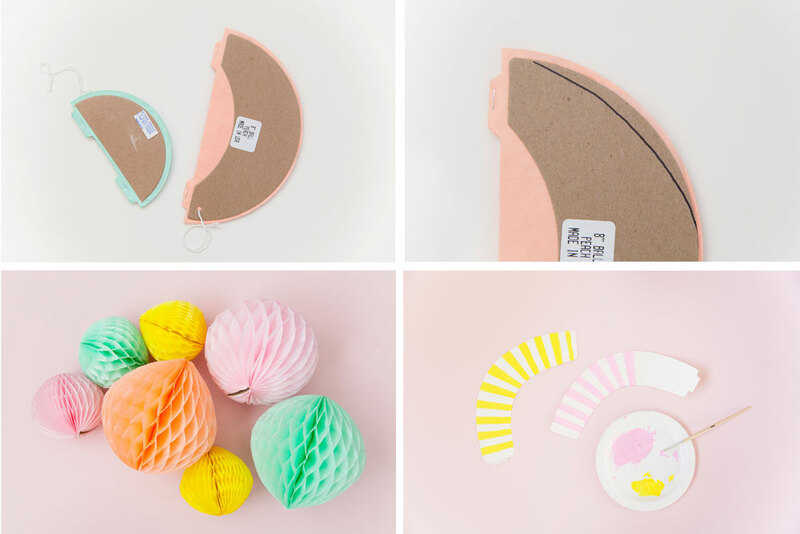 -Assemble the cupcake bottoms, then place the cut honeycomb ball inside. You can glue or tape along the inside of the cupcake bottom so it stays inside. These turned out so cute! 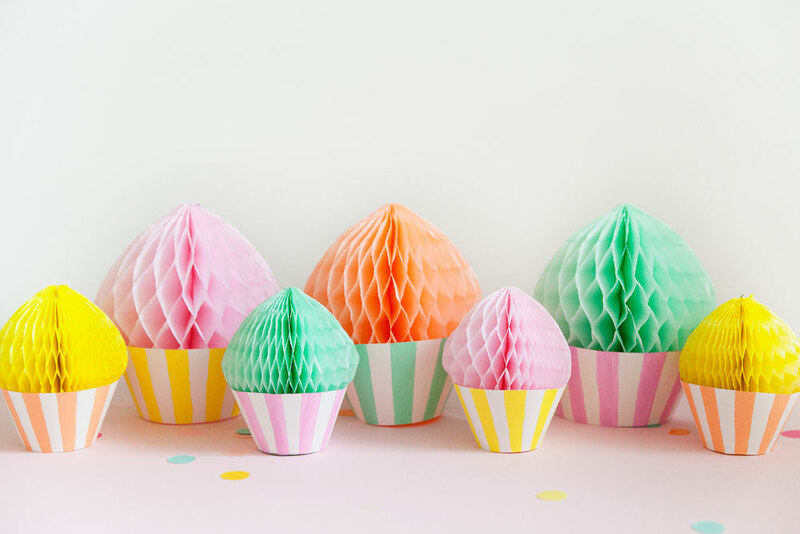 I totally want to make some for our next party! I love the idea, I could imagine making a garland out of them!